There have been 133 mass shootings in this country in 2016, including last Sunday’s Pulse nightclub massacre, which was the deadliest in American history. Yet many politicians have made a habit of responding to these tragedies with “thoughts and prayers” for the victims — instead of tangible policy changes that could finally end the gun violence epidemic in the United States. 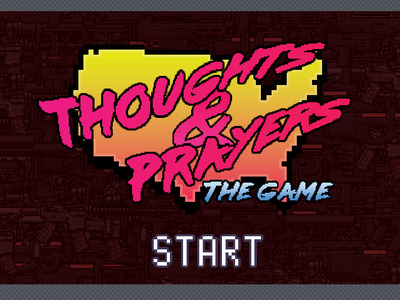 “Thoughts and Prayers: The Game” is the handiwork of developer and writer Mike Lacher, Paper Magazine reports. It’s one of many projects that Lacher has created for GOP Arcade, a series of games that satirize certain right wing politicians and ideologies. The games ends after 30 seconds. 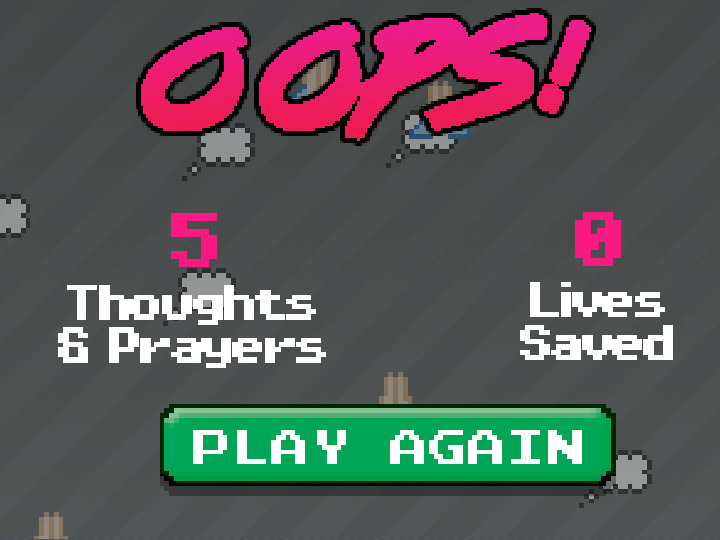 That’s when players find that, no matter how many times they clicked “Think” or “Pray,” they still haven’t saved any lives. It’s biting commentary on the continued political inaction on gun control. 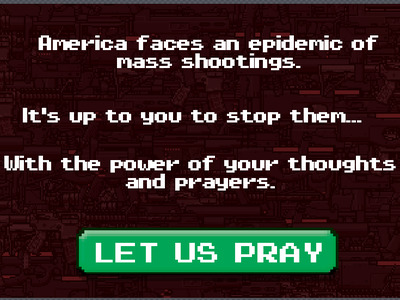 Luckily, not all politicians are satisfied with “thoughts and prayers” and nothing else. In the wake of this week’s Orlando shooting, Senate democrats launched a nearly-15 hour filibuster to demand votes on gun control.